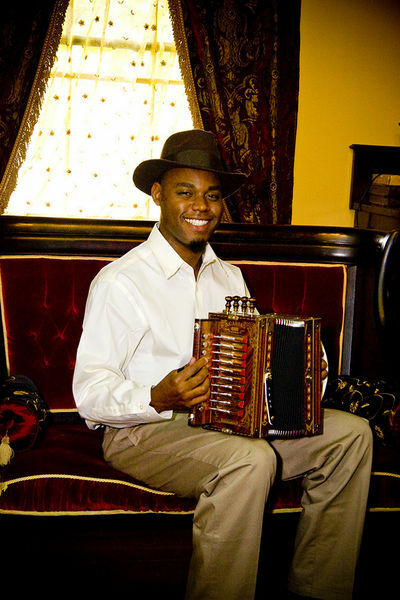 One of the most noted young talents to emerge in Cajun or Creole music in the past few years, Cedric Watson is a fiddler, vocalist, accordionist and songwriter of seemingly unlimited potential. Born in 1983, Cedric grew up in San Felipe, Texas surrounded by the sounds of blues, old soul, country and zydeco. Unlike his hip-hop focused peers, Cedric was drawn to the old-style French songs of Southwest Louisiana and the greater Houston area. He soon made his way to Lafayette, LA where he was enthusiastically accepted into the musical community and immediately recognized as an important participant in the continuity of Creole music. Cedric has played with some of the great family names in Creole music, including Dexter Ardoin and the Creole Ramblers and Jeffrey Broussard and the Creole Cowboys. With the Pine Leaf Boys, Cedric expanded his repertoire of Cajun songs while adding his Creole and zydeco foundation to the band's true-to-the-roots Southwest Louisiana sound. He plays old La-La French music (traditional Creole music) in a trio of accordion, fiddle and guitar with his two musical godfathers, Edward Poullard and James Adams, in the band Les Amis Creole. With accordionist Corey "Lil' Pop" Ledet, Cedric turns to the more blues and R&B influenced songs of Clifton Chenier, John Delafose, Canray Fontenot, and Be'be' Carriere. 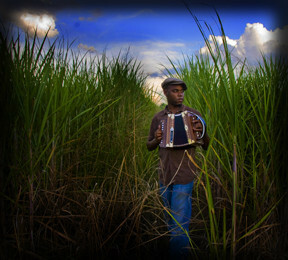 Now Cedric continues to explore the roots of Louisiana’s Creole music with his own band, Bijou Creole. Playing a variety of old-school zydeco styles, original material and Creole traditionals. The poly-rhythmic and syncopated sounds of Africa and the Caribbean are unmistakable in this ensemble of talented musicians. Cedric has been making a name for himself reviving the old Creole fiddling styles of Canray Fontenot and Be'Be Carriere, injecting a healthy dose of his own personality and ingenuity, and bringing them to an ever-broadening audience. He has played across the United States as well as in France, Nova Scotia, Haiti and Spain, and would like next to go to West Africa and other parts of the French Caribbean. He has a keen interest in connecting Louisiana Creole music back to its homelands. "I want to present the Creole Nation of Louisiana to the Creole Nations in other parts of the world, to make these Creole cultures aware of the one in Louisiana, and vice versa." Cedric's creative style and obvious joy in playing make him an engaging and exciting performer. Moving with ease between fiddle and accordion, his natural playfulness on stage makes him just plain fun to watch. Eye for Talent is a world music talent agency based in the San Francisco Bay Area. We have offices in Montreal and representatives in Mexico. We actively book our artists throughout the world with emphasis on Canada, the U.S., and Mexico.